On the whole, most people use martial arts as a form of self-defense rather than killing. Rarely do practitioners of judo or Jeet Kune Do walk into a bar and start wrecking shop outside of the movies, but they definitely know a few dangerous martial arts moves that can strike a killing blow. Most of the killer martial arts moves covered here never get taught in basic martial arts classes; in fact many of them have either been phased out or only get used by the military for hand-to-hand combat. If you enjoy martial arts, or the MMA, you also won’t be seeing any of these techniques in a sanctioned match because many of them are banned for good reason; if performed incorrectly each hold, attack, and technique covered here can easily cause permanent damage, or simply kill someone. While most well trained martial artists probably know how to do many of these moves, they won't pull them out in a match, or even in a street fight. Even still, it must be good to know that you have a literal killer move in your back pocket at all times. 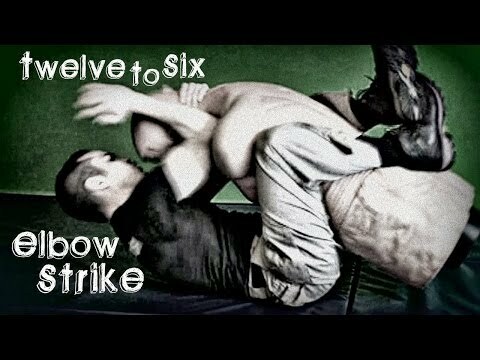 Traditionally known as downward elbows, 12-6 elbow strikes get their name from the attacker's elbow, which starts at the 12 o'clock position and moves down to the 6 o'clock position. Elbow strikes already cause tons of pain, but when someone gets hit with an elbow going straight down onto the back of their neck or head, it wrecks their entire day. Even if your elbow fails to kill your opponent, they will be out of commission for a while, during which time they'll think twice before entering another fight. It looks so intense people now consider it bad form to use it in an MMA match, though it remains a legal move to use. Anyone who's ever swallowed a nacho the wrong way knows that the neck and throat serve as sensitive spots. Punches may be a less refined way to attack someone but when you need to get the job done (i.e. wreck shop on an attacker) then punching them in the throat remains one of the quickest ways to shut anyone down. 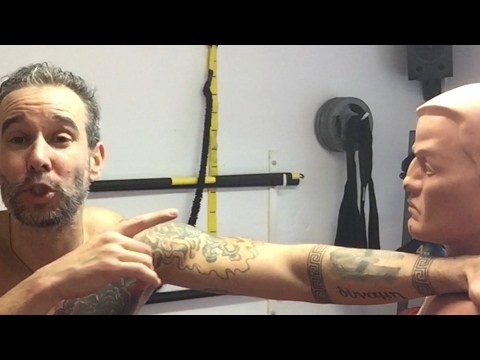 If performed correctly, this move can crush someone’s windpipe, but even a half-hearted punch to the throat will still knock someone off balance and deal out some pain. The reverse neck choke, commonly known as the sleeper hold, is one of the most well known and dangerous attacks in all of martial arts. The hardest part of this move involves positioning yourself behind your opponent; but once you get the staging out of the way, you simply wrap you arm around your attacker or opponent’s neck and lock in the hold until all of the oxygen is cut off from their brain. From there, you either knock out whomever you’re fighting, or, if you’re a psychopath you can hold the choke until you cause either permanent brain damage or death. Fish-hooking may not be the most elegant move in fighting history, but in a fight to the death, form comes after survival in terms of importance. To fish-hook someone you shove your fingers into someone’s mouth, nostrils, or whatever orifice lies closest and start pulling on the person until they’re in severe pain. This move looks goofy, but if you apply enough pressure you can tear a person’s skin and cause permanent damage to their body. In modern combat contests like MMA or martial arts tournaments fish-hooking is totally outlawed because of the possibility of permanent injury that it carries.